Following mounting concerns about building practices across the country, and the release of the Opal Tower final report, the NSW Minister for Innovation and Better Regulation, Matt Kean, has recently announced the biggest overhaul of building regulations the state has ever seen. These plans come as no surprise, as incidents like Opal Tower show that rather serious construction oversights have put residents in danger, and the ethics and professionalism of the construction business in question. What do the changes mean for homebuyers and investors in NSW? It’s no surprise that buyer confidence has been shaken by the recent residential incidents – not only in Sydney, but worldwide. These include the Grenfell Tower in London, and the Lacrosse building in Melbourne. 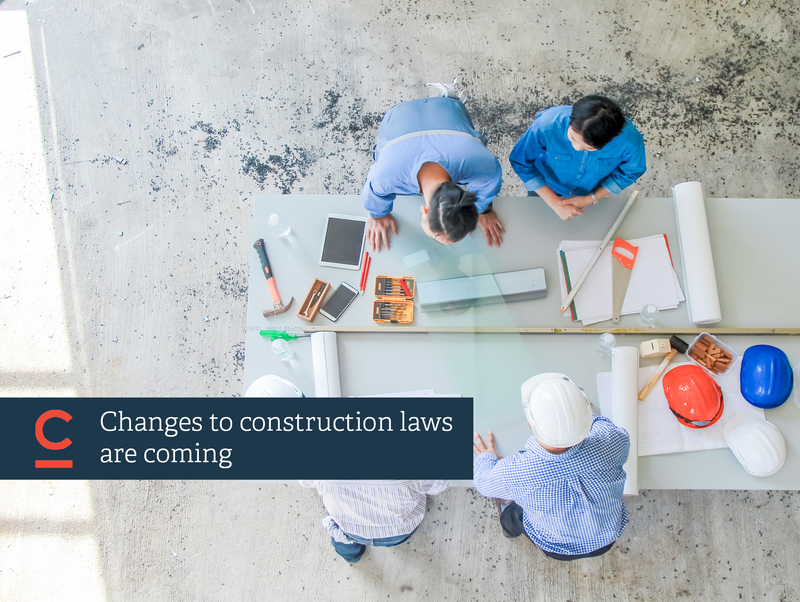 These changes in building laws are intended to ensure that buyers’ trust is restored – when you buy a home, you should be able to trust that they are required by law to do a good job. Minister Kean is confident that these changes will ensure Australians will ‘feel safe in their homes and have confidence that they are buying a quality building’. You would be sure that the professionals involved in any stage of the building process are adequately qualified, and held responsible for their work. ‘Today, an apartment owner has no meaningful way to assess the risk that a new building has major defects, yet they suffer the consequences if it does. This plan will change that,’ said Minister Kean. If you’re considering buying a newly built property, or property off the plan, or in a high rise, this can only be good news for you. The new laws would not only make it more likely that your home has been built to last, with the materials and expertise you can trust, but if that’s not the case, they would make it easier for you to hold the developers responsible for any negligence. What building laws will change? The Opal Tower investigation made many recommendations for avoiding these type of incidents in the future, in particular the creation of a government Registered Engineers database, as well as on-site checking and certification of engineering designs by a registered engineer. In terms of the reforms to building regulations overall, Minister Kean said the government would accept most of the recommendations put forward by the Building Confidence report – a report commissioned by the Building Ministers’ Forum in 2017 and conducted by Professor Peter Shergold AC and Bronwyn Weir. ● overhaul of compliance reporting: building designers and engineers will need to declare building plans comply with the Building Code of Australia; builders will need to declare buildings have been built according to the plans. ● ensuring there is an industry-wide duty of care to homeowners, and building practitioners are responsible for their work. The government is also planning to enhance homeowners’ protection and streamline compensation if building practitioners have been negligent. The Minister said a period of consultation with industry and community stakeholders would follow his declaration, to ensure no unintended consequences are overlooked. The recommendations in the Building Confidence report concerned commercial construction, but the NSW government plans for change currently focus on residential construction, with consultation to determine the exact scope. Book in a chat to one of our experienced agents today. We can help you find just the right place for your needs.